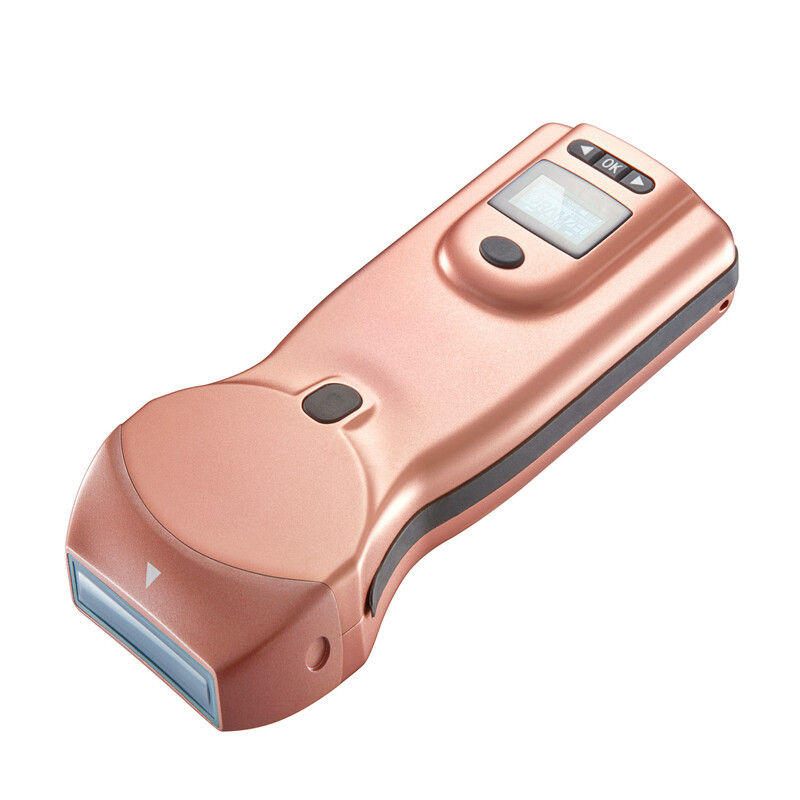 Runkun's Laptop Color Doppler Ultrasound is compact and easy to carry, and it is wirelessly connected with the computer,Laptop and mobile phone, so it is very convenient to use.which brings you wide and comfortable image viewing. 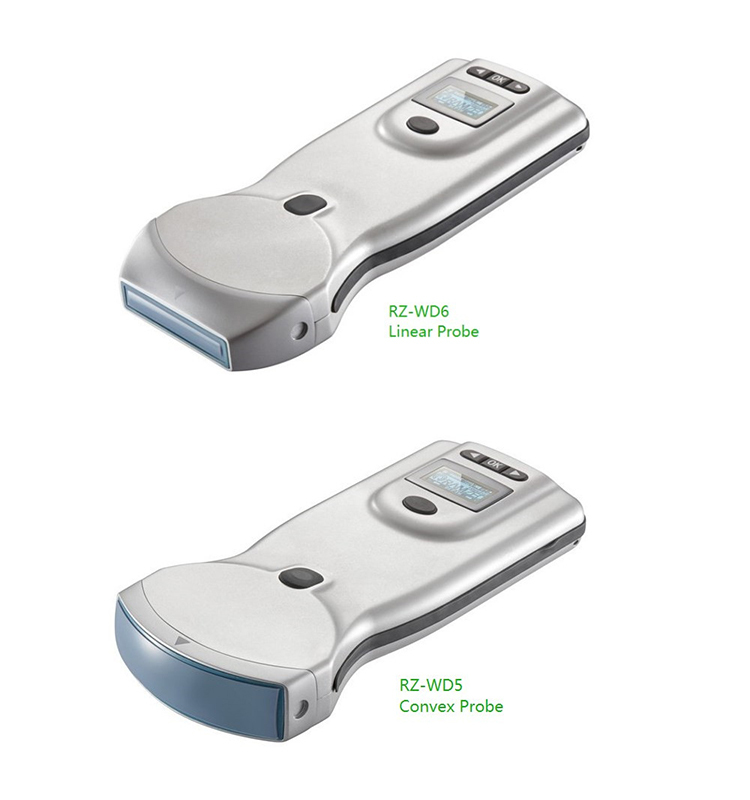 Various functions, excellent image quality, simple operation and good stability can meet different requirement of clinical application. Furthermore, lightweight design makes it easy to take. 1. We are manufacture, with10%-40% competitive price than others. 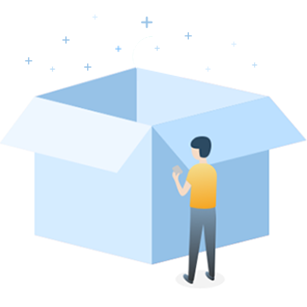 7.Quick solution for item problems by professional engineer within 12 hours. 8.Double, Western Union, T/T, Visa Credit card, Master Credit card,Trade Assurance. 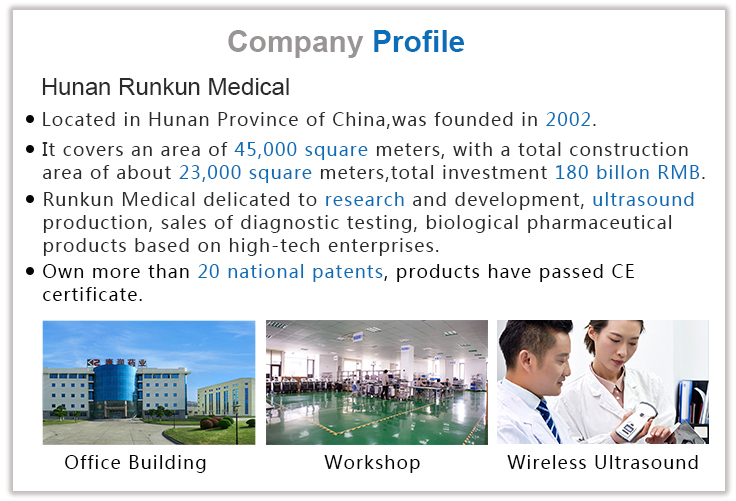 Runkun Biotech Group's products cover the in vitro diagnostic equipment and reagents, color ultrasonic equipment and contrast agent, wireless color ultrasonic diagnostic system, varied specialized color ultrasonic diagnostic system , digital X-ray diagnostic system, as well as all-in-one machine,which integrates routine vital signs monitoring, color ultrasonic diagnosis, health records management and remote diagnosis and so on. 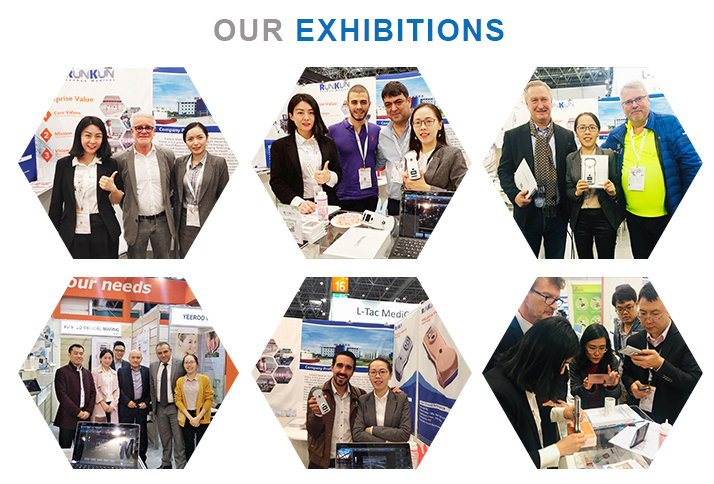 The company attaches great importance to its research and development strength , which has set up several R&D centers in Yueyang (Hunan province), Suzhou (Jiangsu province) and Shenzhen (Guangdong province) in just one year after its foundation, and also built up a strong and high efficient R&D team with different backgrounds including medical apparatus, communications and consumer electronics. What's more, all the R & D team members have obtained at least a bachelor's degree or above. 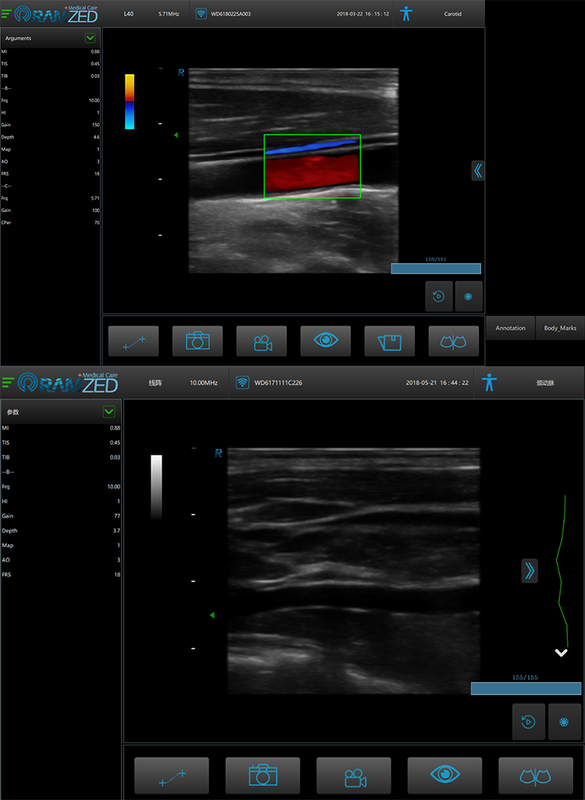 Since its inception, the company has increasingly enlarged its investment in R & D, especially for a 50 million RMB investment on handheld ultrasound project in 2016. We have now acquired 22 inventions and utility model patents, and another 10 patents are under substantial examination. 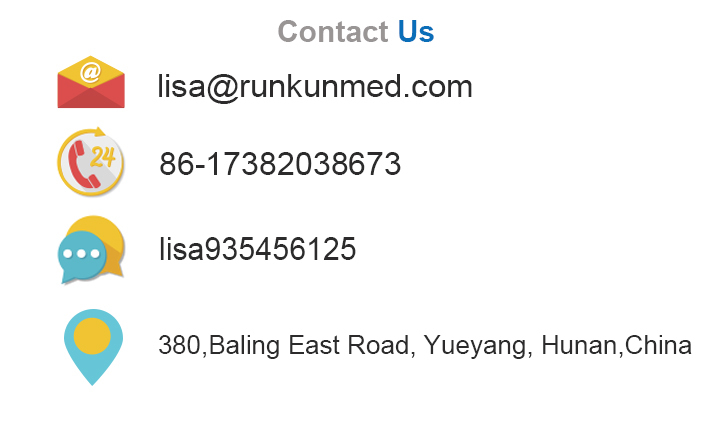 Ramzed Medical adheres to provide high-quality medical apparatus products. In order to constantly improve the quality of products and services, the company sticks to the quality policy of "continuously improving quality system, constantly improving product quality, and fully meeting customer demand"
In 2017, the company has successfully obtained the authentication of CE safety system of European Union for its ultrasonic products. 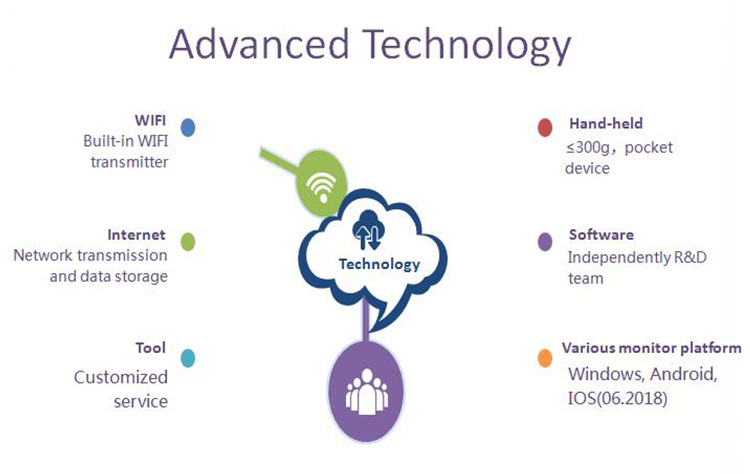 Are you looking for ideal Wireless Handheld Color Ultrasound Manufacturer & supplier ? We has a wide selection at great prices to help you get creative. 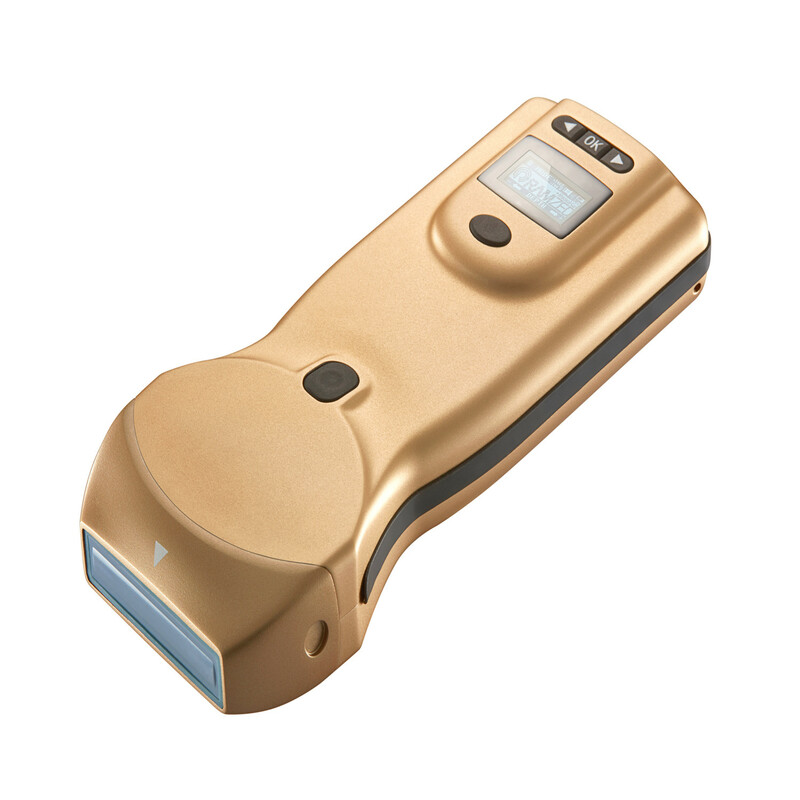 All the Portable Palm Color Ultrasound are quality guaranteed. 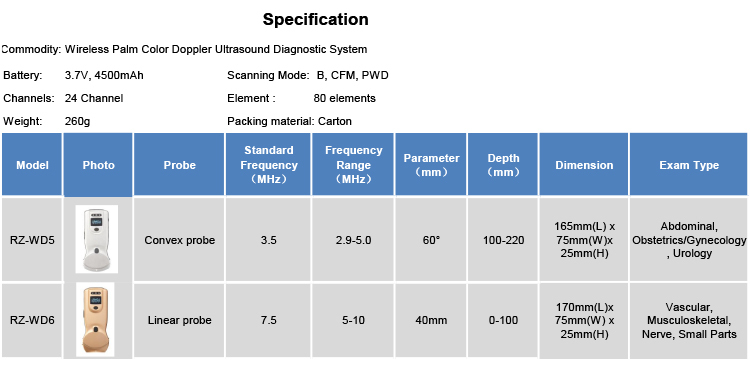 We are China Origin Factory of Doppler Palm Ultrasound.